We design conventional type and ventury scrubber type dust collectors for use in various dust collectors for use in various dust extraction systems. These high efficiency scrubbers are compact and provide effective removal of particulate matter from stream of Gas. Scrubbers are air pollution control devices that use a high-energy liquid spray to remove aerosol and gaseous pollutants from an air stream. 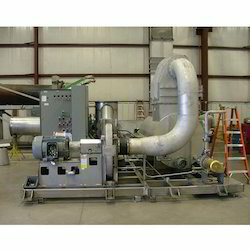 Scrubbers may be used for process air cleansing and dust collection. We are dealing in Dust Scrubbers. We are a unique entity in the industry, actively committed to providing a qualitative range of Dust Scrubbers. 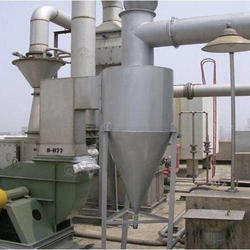 In order to keep pace with the desires of the patrons, we are presenting an excellent quality Industrial Dust Scrubber. Our corporation is concerned in designing Dust Scrubbers. These are recognized for the noted properties such as the dimensional efficiency, High performance, and precise equipment. We manufacture our sand representative and air filter mechanism exactly in the customized designation.